Geisha Wonders is a fast and simple Video Slot based on a Japanese Geisha theme. The Geisha Wonders has 5 reels and 30 bet lines. This beautiful video slot has a progressive jackpot which is pooled together with the jackpots of two other wonder slot games – Tiki Wonders and Icy Wonders. Set in anceient day Japan, this video slot is based on the beautiful Geisha that were all over Japan in the past. These gracious and beautiful women would wine and dine the creme de la creme of Japanese and foreign business men before the world war. These days not many can be seen shuffling along the roads of Japan under the cherry blossoms. This video slot is a shrine to those times gone by. Update: unfortunately Geisha Wonders is no longer available. The pooled progressive jackpot for the Wonders trilogy is a really great way to win some serious money. The jackpot pool is combined with the portion of the bets from all three games being joined together to create amazingly high amounts of coins to be won in any one jackpot win. There are two seperate jackpot prizes to be had, the first is the Wonder Jackpot. This is won when four golden stars appear on the reels in any bet line. These stars can be on any of the symbols in Geisha Wonders. The second higher jackpot is called the Mega Wonder Jackpot and you need to have 5 stars on the reels to win this elusive cash prize. All jackpots are at the operators descretion. 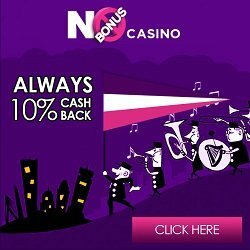 Not only do oyu have two amazing jackpots but there is also the chance to win up to 30 free spins in Geisha Wonders online casino video slot. This works in the same way that other slot machines operate, you simply need to get three or more scatter symbols anywhere on the screen. 3 Scatter symbols pay out 10 free spins, 4 scatter symbols pay out 20 free spins and 5 scatter symbols give 30 free spins. All winning combinations pay out double the amount of the bet line. This multiplier is not available on jackpot wins.